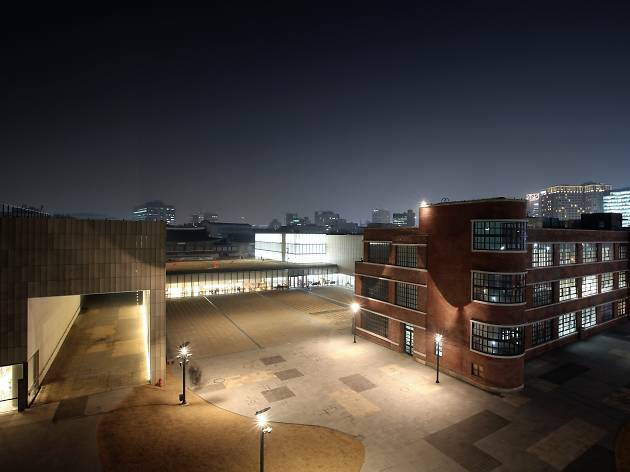 Built in 2013 as an annex building of the National Museum of Modern and Contemporary Art (MMCA) Gwacheon main location, the Seoul branch is located on the historic site of the former Defense Security Command offices. In addition, the Joseon-era former Office for Royal Genealogy is a traditional building with wooden pillars and graceful tiled roofs, which looks a little out of place next to the museum's modern buildings made of red bricks and mortar. Wedged in between the old and contemporary architecture are scultpure parks, which are also utilized as outdoor exhibition spaces. 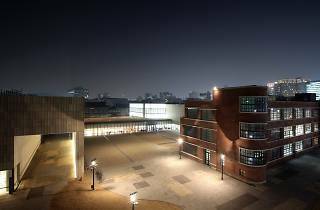 The museum has eight exhibition halls in total as well as a video library, movie theater, and a food court, so if you have the energy, you can very likely spend the entire day at the musuem. But if you do get tired of looking at art for any reason, popular attractions Gyeongbokgung (Gyeongbok Palace), Bukchon Hanok Village, Samcheong-dong, and Insadong are all just around the corner. Tue, Thu, Fri, Sun 10am–6pm; Wed, Sat 10am–9pm.